Downtempo music tends to always have a time and place. Especially recent material, in the last half decade or so, when the genre's been on the downswing. Effort hasn't really been put into advancing forward, and nowhere has that been observed better than throughout Emancipator's career. Once a sparkling new eye in the Electronic community, the Oregon-based producer has proved, beyond a reasonable doubt, to be nothing more than a one-trick pony, mimicking his successful Soon It Will Be Cold Enough with a slightly new varnish. Over and over again. Not once in the decade since his debut has Emancipator altered his style, or even attempted to. Safe In The Steep Cliffs, Dusk To Dawn, Seven Seas, all echoing the same instrumental sentiments, all acting as stucco on an unassuming wall. With Baralku, nothing changes. Sure, Emancipator's stepped away from his schtick of album covers used as atmospheric scene-setting, but with how monotonous, dry, and desultory Baralku is, one will yearn for some sort of vision to associate with. Emancipator's fifth offers none. It's tough to describe Baralku, or the vast chunk of Emancipator's discography, without tripping over the same phrases, expressions, and verbiage. There's really no alternative. What can be applied to 'Mako,' for instance, that it's majestic, romantic, and whimsical, can be said about nearly every single track here. Emancipator lives, not thrives, in his stylized world, one that bears resemblance to the cheap and cheesy romance novels you find lurking in the back shelves of Barnes & Noble. You know the one, with the shirtless dragon-slayer adorned by a seductive darling in danger. That's the imagery displayed on duds like 'Pancakes,' 'Rappahannock,' or the achingly long 'Time And Space.' 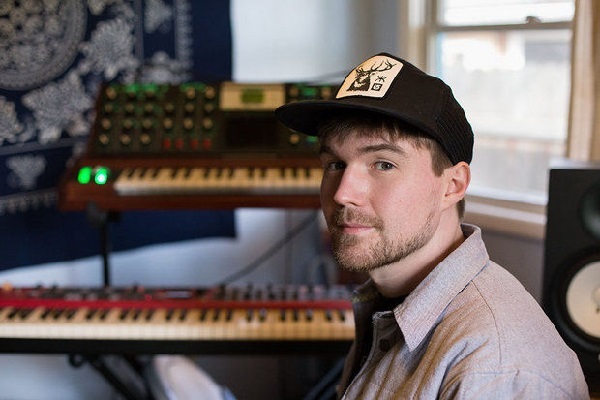 There are times when Emancipator attempts to incorporate vocal samples into his repertoire, and his does so admirably on 'Ghost Pong' and 'Udon,' but even these moments get watered down by Emancipator's need to stay within his own lane. Sampling is an opportunity to branch out, and even that, when utilized, finds itself cornered in the artist's tight and tiny box of imagination. Come to Baralku for the lovely wallpaper, leave because no one stares at wallpaper, no matter how pretty, for long.